*This is a sponsored post. All opinions and are my own. I received a Cricut Brightpad in exchange for my review. 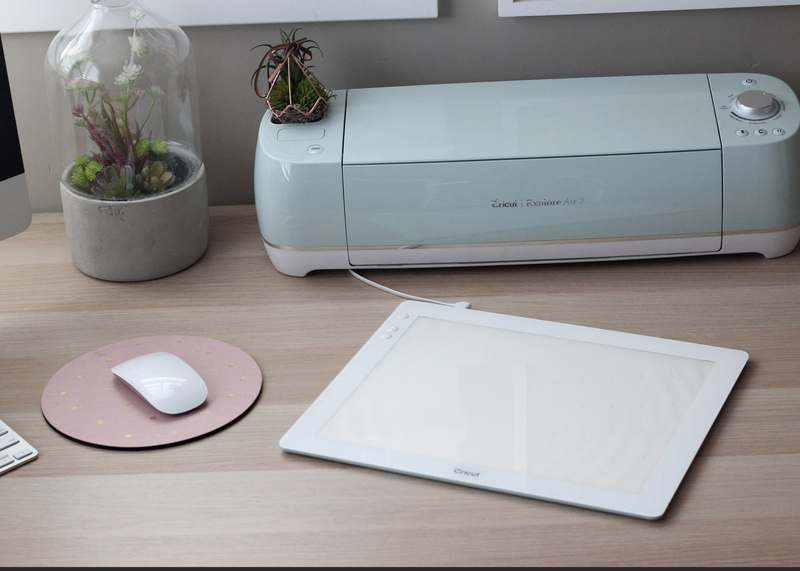 WANT TO WIN A CRICUT BRIGHTPAD? KEEP READING FOR DETAILS!!! Have you ever been making a project and you get it all cut out, everything is going great and then you realize you just totally messed it up? I’ve had this issue while trying to weed really intricate projects. It can be very hard to see exactly what your looking at! Especially if your anything like me and your crafting time tends to happen mostly at night. This is the biggest reason I am so stoked about the new Cricut Brightpad! Read on to see my review.The team at Cricut really goes above and beyond to think of it all when it comes to what we need to help make our crafting easier! The Brighpad is a great tool to add to your crafting supplies. 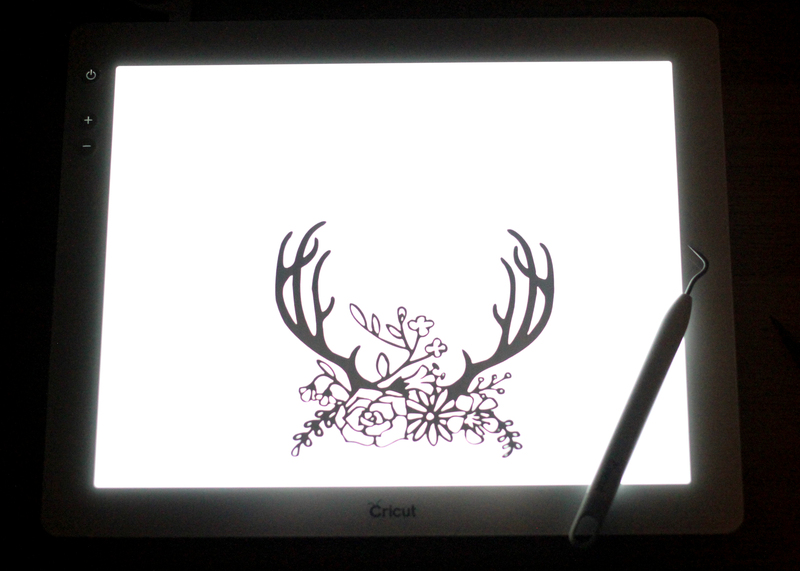 The Cricut Brightpad can be used for weeding, tracing and other craft projects. It has 5 brightness settings and is super lightweight. 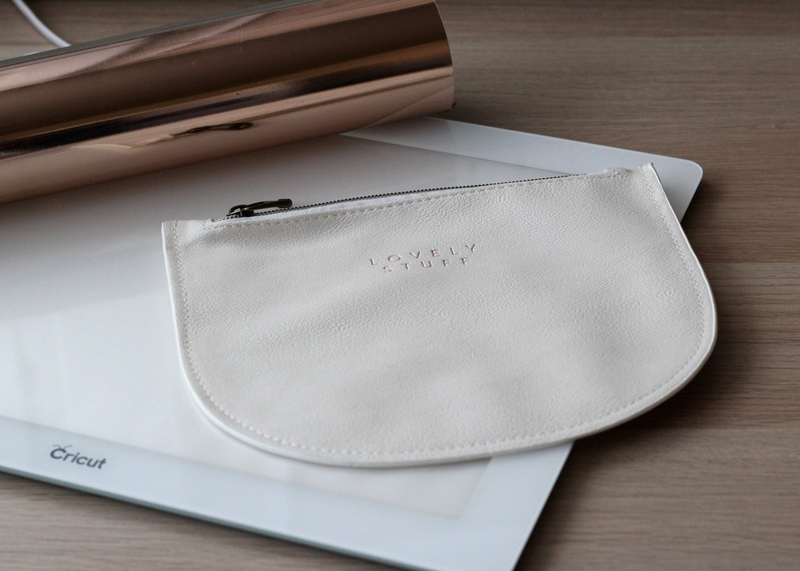 When you place your material that has been cut with your Cricut machine onto the Brightpad, you will then be able to see the cut lines right away! Weeding those projects just became so much easier, will take you half the amount of time and save you a lot of eye strain! I recently used my Brightpad to weed out a very intricate image. For this project I was using the foil iron-on material. 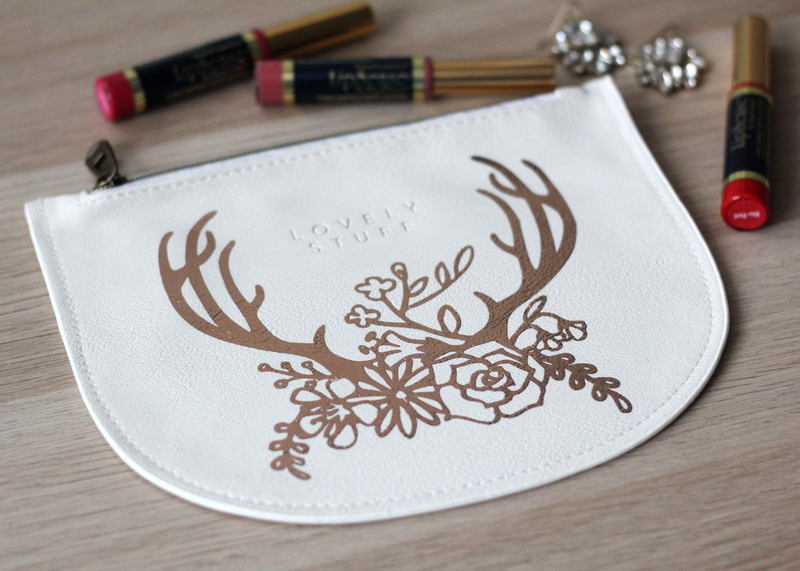 I had this cute pouch from Target and wanted to add something more to it! Take a look at this image before and after turning on the Cricut Brightpad. 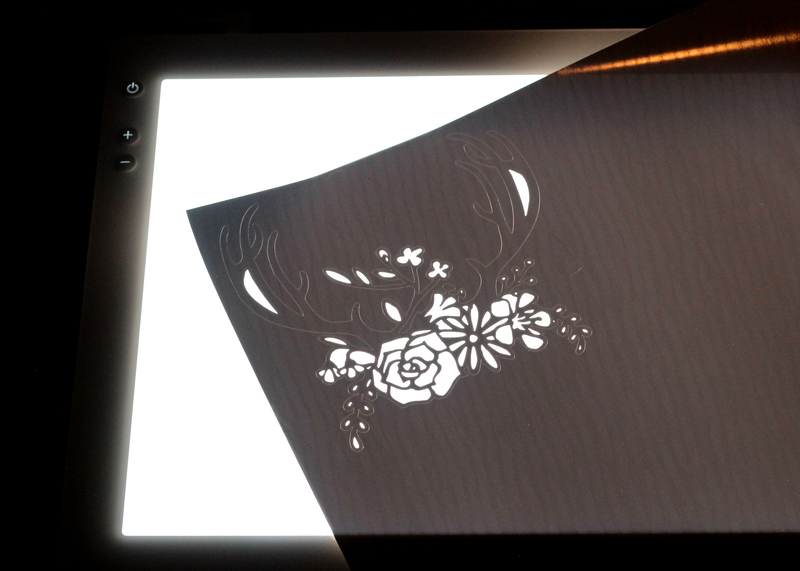 You can see how after the Cricut Brightpad has been turned on that the image just pops right out at you!! You can then see exactly where it is that you need to weed. How cool is that? I think it took way less time to get this image ready for application because I had the Cricut Brightpad. As you can see there are many very fine details within this image. I was able to see them so easily, and felt confident that I wasn’t going to mess it up! It was even really nice to cut the image out from the rest of the material that i wanted to save. I could see exactly where the image was and where to cut around it. I was done with this cute project in no time thanks to the Cricut Brightpad. Some of the features of the Cricut Brightpad. Like I mentioned above, it has 5 brightness settings. They can easily be turned up and down with the plus and minus buttons on the left hand side of the pad. 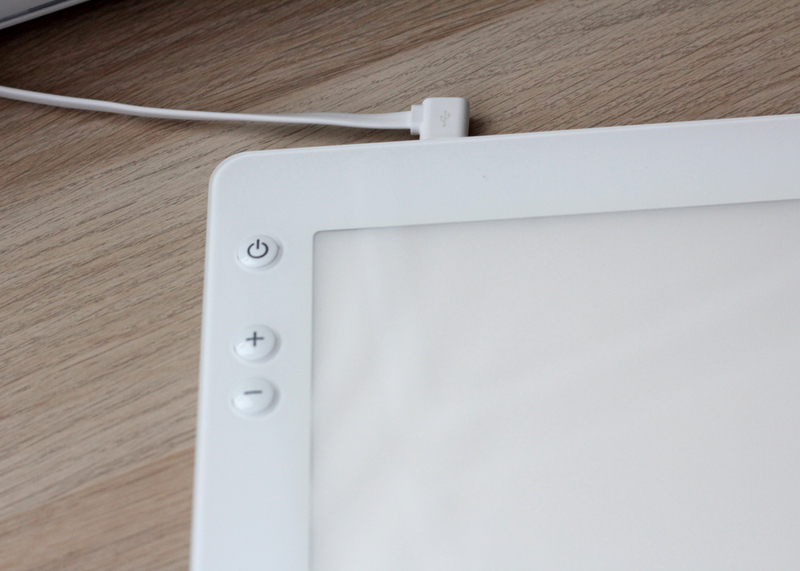 It has a USB cord that you will need to have plugged in for power. It comes with a wall mount or you can plug it straight into you computer. I found that the Bright pad is so slim that it will fit perfectly under your Cricut machine. I have mine plugged in and ran the cord under the Cricut machine so that I can slide it in and out as I need to use it!! It’s so convenient and I found that setting it up this way, the cord is out of your working space. When your using your Cricut machine it is low enough that it opens completely still and you can leave it right there while your cutting materials!! I think the Cricut Brightpad is such a great addition to my crafting supplies and will help in many projects!! Crafting for me happens at night when lighting isn’t great and this just made it so much easier! I would 100% recommend getting this product. 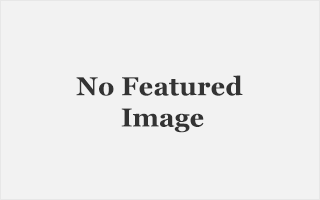 It was very helpful and i can see how it will make many other projects easier too! 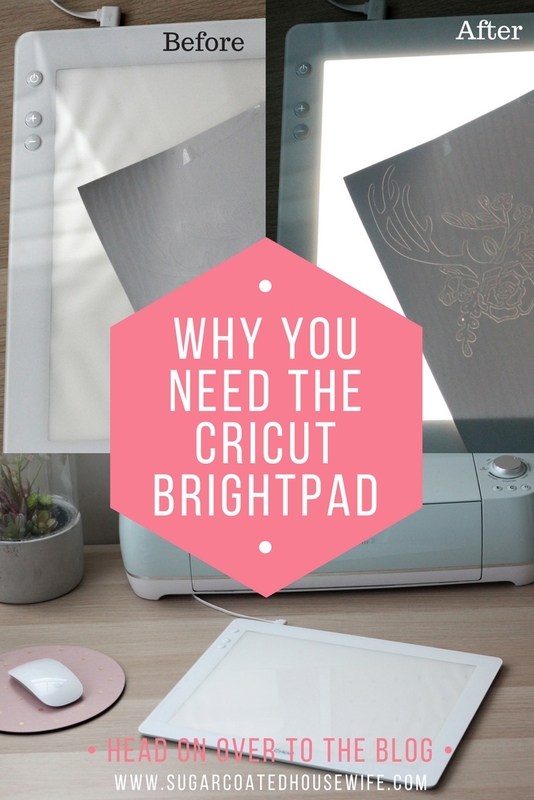 If you have any questions about the Cricut Brightpad, please feel free to leave questions below. AND WIN A CRICUT BRIGHTPAD!!!!!!! 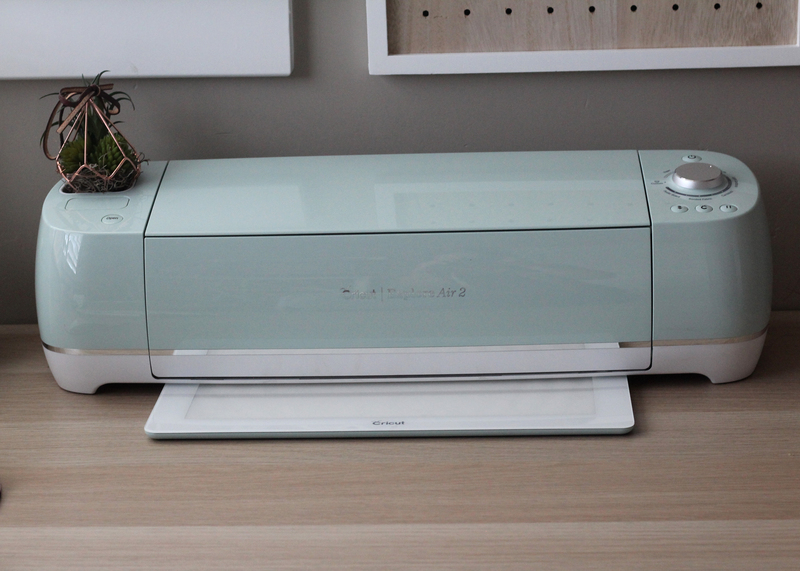 Next ArticleWHAT MAKES THE CRICUT MAKER DIFFERENT FROM ALL OTHER CUTTING MACHINES? Ohmygosh! I NEED one of these!!! I can’t count how many times I’ve weeded the wrong thing!! This is next on my wish list!! So awsome i need one!! I sometimes try and use my window when I do this and it just doesn’t work as well! This would make it so easy! This looks so fun!!! I would love to have one of these when using my Cricut! This is awesome! Holding it up to the light is hard, this would be way easier! So awesome! I would love to have one! Now that I know it’s purpose I totally get why this is so helpful with all kinds of projects and materials! Love it! Thanks for the info! So cool! I’m also doing all my crafting into the wee hours of the night! I think I definitely need this!